Origin It is usually found in the Pacific Ocean. It was recorded in Alaskan Aleutian Islands and Baja California. 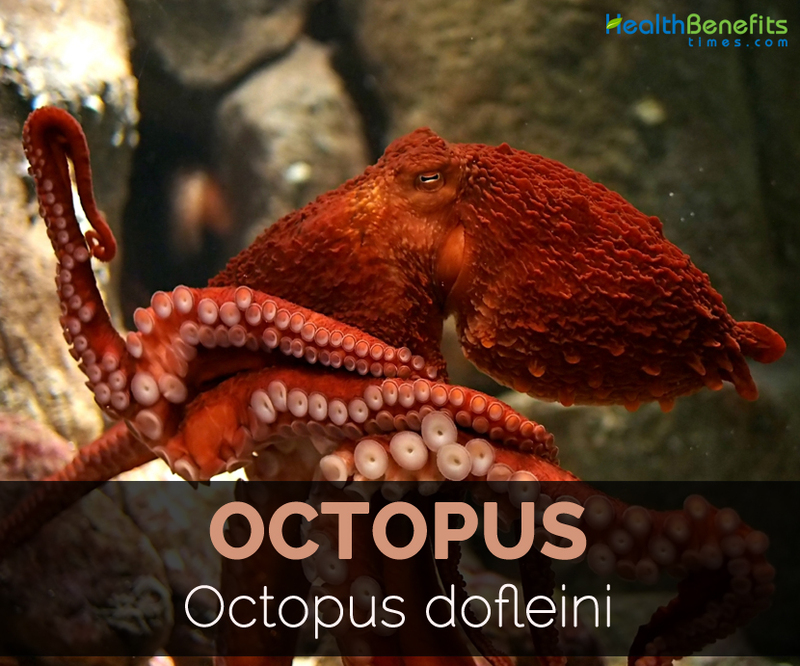 Octopus dofleini (genus Enteroctopus) are the octopus species which are found in rocky areas, kelp forests and caves in the Pacific Ocean. It could be identified reddish brown or dark red skin. They have eight arms of 6 feet with each arm having 280 suckers. The center of the arms consists of beak and radula which is a toothed tongue. The body is compressible and 9.6 m in radius. It is cool-blooded or poikilothermic having three hearts and blue blood. Mantle is spherical that consists of major organs of this animal. Octopus is able to change the skin’s color by adapting the environment due to the presence of tiny pigments called chromatophores. It prefers cold and oxygenated water. They hunt shrimp, scallops, crabs, clams, moon snails, abalones, small octopus, flatfish, rockfish and sculpins for the food. It is the prey for seals, dogfish sharks, sea otters, man, lingcod, sea lions, seals, sea otters, larger octopuses and fish. It has lifespan of 4 to 5 years. Other common names of Octopus dofleini are North Pacific giant octopus, Giant Pacific octopus, Giant octopus, Poulpe géant and Pulpo gigante. It is usually found in the Pacific Ocean. It was recorded in Alaskan Aleutian Islands and Baja California. It is extended in Northeast of Japan. The name octopus was kept by Ancient Greeks which means eight foot. It was illustrated on Minoan and Cretan coins and painted on jars in Mycenaenera. Around 300 million years ago, the ancestors of octopus were on Carboniferous seas. The oldest fossil of octopus was found in Chicago of Field Museum. It is distributed to coastal North Pacific in Washington, Oregon, California, Alaska, British Columbia, Northern Japan, Russia and Korea. About 85 grams of cooked octopus offers 51.42 g of moisture, 139 calories, 25.35 g of protein, 1.77 g of total lipid fat, 2.72 g of ash and 3.74 g of carbohydrate. It also offers 1275% of DV of Vitamin B12, 138.55% of Selenium, 101.38% of Iron, 69.78% of Copper, 65.97% of Isoleucine, 64.55% of tryptophan, 61.99% of threonine, 56.64% of lysine, 52.46% of valine, 50.70% of protein, 48.27% of leucine, 42.38% of Vitamin B6, 39.53% of histidine, 33.86% of phosphorus, 26.07% of sodium, 26% of zinc, 20.08% of niacin, 15.30% of vitamin B5, 12.51% of Choline, 12.14% of magnesium, 11.40% of potassium and 10.86% of Vitamin A.
Octopus does not have hard shell and belongs to mollusk family which also includes oysters, mussels, clams, nautilus and squid. 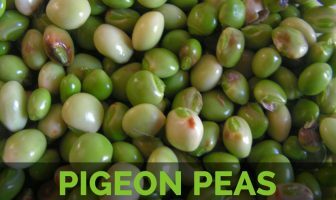 It is vital in Mediterranean dishes and regarded as delicacies. It has high content of Omega-3 fatty acids that helps to lower the chances of stroke and heart attack. It promotes the cardiovascular health and stimulates cognitive health. It has low content of saturated fat which assists in losing weight. One should be careful while eating seafood. Doctor’s consultancy is needed for the people with health problems. It is dressed with lemon, olive oil, capers, minced garlic and herbs. It is grilled as well as poached. The World record made by Octopus dofleini weighs 136 kg (300 lb) having arm span of 9.8 m (32 ft). Beak is the hardest part of octopus. The color of octopus blood is green or blue. It is considered as intelligent invertebrates. They are also called chameleons of the sea as they are able to change the skin’s color and texture. Beak is made up of keratin which also forms fingernails. About 90%, they are made of muscle. Giant Pacific Octopus is the largest octopus of the world. They have the ability to regrow its arms. One sucker of Giant Pacific Octopus can lift 35 pounds (16 kilograms) of weight. In Korea, Octopus is eaten alive. It has got great eyesight as well as sense of touch. They are soft bodied with no bones. The mantle of bag shaped consists of internal organs and has the color of reddish brown. The head is huge and bulbous and colors from reddish to brown. They have got eight arms with each having 280 suckers having thousands of chemical receptors. It also has special pigment cells in the skin that assist them to change their color as well as textures. It fusions well with plants, corals and rocks. They usually hunt at night. When it is threatened, it releases purple to black ink to escape from predators. Female lays about thousands of eggs which breed for almost six months. Native It is usually found in the Pacific Ocean. Calories in 3 oz (85 gm) 139 Kcal. Seafood should be carefully eaten. It is dressed with lemon, olive oil, capers, minced garlic as well as herbs. It is also grilled and poached. The World record weighs 136 kg (300 lb) with arm span of 9.8 m (32 ft). Beak is considered as the hardest part. The color of blood is either green or blue. They are able to change the skin’s color and texture. It is the largest octopus of world. It has got great eyesight and sense of touch. Calories 139 Kcal. Calories from Fat 15.93 Kcal. Calories 70 Kcal. Calories from Fat 7.92 Kcal. Calories 56 Kcal. Calories from Fat 7.2 Kcal.